A look at the print methods offered by la Happy. Digital Printing All la Happy digital projects are professionally printed on soft cotton papers. The printing is done on a digital press. Projects that require lots of colors, as we are able to print unlimited colors cost effectively! 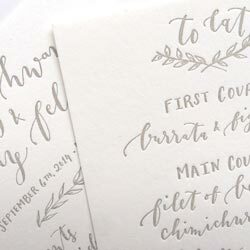 la Happy custom calligraphy looks beautiful when reproduced via digital printing. Love metallic gold? This is not the method for you (but you can mix this method with metallic gold!) Golds, silvers and other metallic colors can’t be reproduced via digital printing. We love mixing digital printing with metallic foiling. It’s a great way to add color to projects that include fabulous gold or silver printing! Letterpress Printing This is the oldest of all the print methods. Magnesium dies are made of your artwork, those dies are then fitted onto a press. 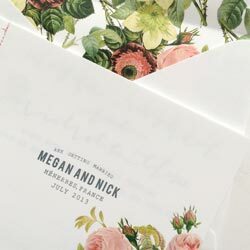 The dies are then stamped onto the paper (each piece is individually stamped), making a beautiful imprint into the paper. 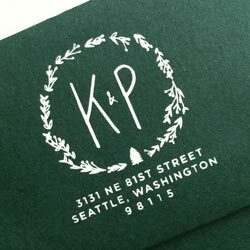 We work with a professional letterpress printer who is as obsessed with quality and details as we are! Great for projects that have a vintage feel. It’s a great method for extra-thick, handmade, cotton papers. Gold ink has a wonderful, matte, vintage look to it. People love this method because it leaves such a beautiful imprint that you can’t help but run your fingers over it. la Happy custom calligraphy looks beautiful when reproduced via letterpress printing. Not great for opaque, crisp, white, ink printing (screen printing or foiling is better for printing white ink on colored paper.) 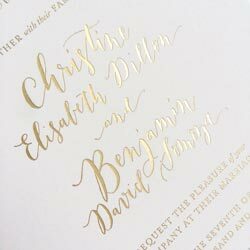 Mix with digital printing to add color or with metallic foil stamping to add some fabulous metallic gold to your letterpress printing! Screen Printing In this print method the talented printer we work with makes a screen for your artwork and then transfers the artwork to paper, fabric, etc. by running the ink through the mesh screen. Works nicely for printing white ink on dark paper, printing on fabric (love this idea for menus and invitations) and for printing gold and metallic colors. la Happy custom calligraphy looks beautiful when reproduced via screen printing. Doesn’t always print really detailed, fine lines well. We usually switch to letterpress for printing very fine lines. Any of the other print methods! This is a really great, flexible, print method. Metallic Foil Stamping Similar to letterpress in that a plate is made for your artwork and then is stamped onto the paper via a press. But this method uses heat to adhere the foil. The method is the only way to acheive a shiny metallic color. Wonderful process for printing lovely, shiny, metallic golds and silvers on your paper goods. Looks lovely printed on colored papers. la Happy custom calligraphy looks beautiful when reproduced via foil printing. Doesn't work well on some non-paper surfaces or large coverage. We often mix metallic foiling with digital printing to add color to projects.